Drawing on a database of the competitive research funds in the Japanese academia, this study examines the distribution of research grants at the university and individual levels. The data indicates high inequality at the university level and slightly lower inequality at the individual level. Over the last three decades, the total grant budget has greatly increased and an increasing number of researchers have received the funds. Simultaneously, large-size grants have become more common and multiple awarding (i.e., one researcher receives more than one grant simultaneously) has become more frequent. These changes taken together, the level of inequality has not been changed substantially. 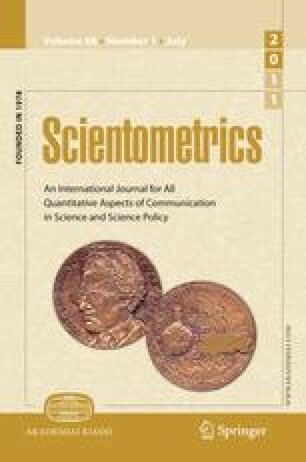 The extent of inequality largely differs between scientific fields; especially high in basic natural sciences and relatively low in social sciences. A close examination of inequality over researchers’ career indicates different patterns of transition between fields and cohorts. Finally, both at the university and individual levels, the funding distribution is found more unequal than the distribution of publications as an output indicator. I appreciate Prof. Aldo Geuna at the University of Turin and Prof. Diana Hicks and Prof. John P. Walsh at Georgia Institute of Technology for their insightful comments. I thank Prof. Hideaki Takeda at the National Institute of Informatics for providing the grant database. This study is supported by Postdoctoral Fellowships for Research Abroad of the Japan Society for the Promotion of Science. Hicks, D. M., & Katz, S. (2009). Toward a science policy framework addressing extreme inequity and resource distribution in research. http://works.bepress.com/sylvan_katz/1.